Fantastic waterfront condo at Harbor Town Village. Beautifully renovated and being sold nearly turn-key furnished. 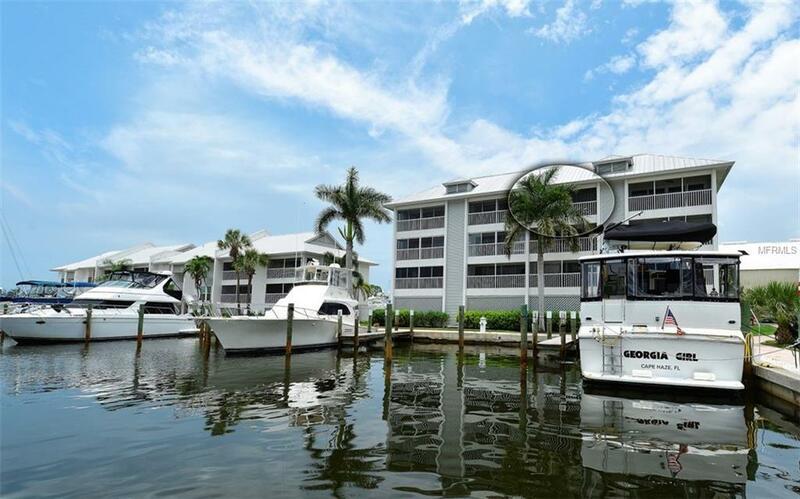 Enjoy exceptional views of both Marina basins and the Intracoastal Waterway. Top floor unit with elevator. The property is located just steps to Johnny Leverocks restaurant, the Rum Bay water taxi, Palm Island car ferry and the endless services provided at Aquamarina at Palm Harbour.